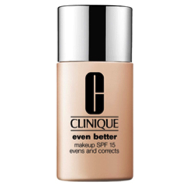 The even better Makeup SPF15/PA++ oil-free and dermatologist tested by clinique combines skincare and makeup into the liquid foundation. 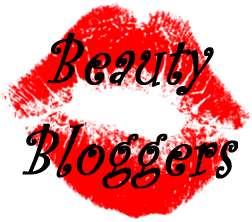 Wear oil-free, dermatologist-developed Even Better Makeup SPF 15 and something amazing happens: Without any makeup, see improved clarity, a more even skin tone, visibly diminished age spots. For all ethnicities. In just 4 to 6 weeks. For continued benefits-even after you take it off-partner with Even Better Clinical Dark Spot Corrector. Works so amazingly well! Covered all my acne scars and redness. You dont really need alot of the foundation to cover your face, a little goes along way. It does give my face a glowy look but I put finishing powder to cover it because I dont want the glow to be confused with oiliness. I love how this foundation is inexpensive, evens out my skin tone well, doesn't cake, wears well throughout the day.